Under configuration I could not find the field, see attached image. I works with Isis-Default. And I was looking under the other menu items and was asking google. So please, where can I find the function? I gave you wrong answer , I tough your problem is VM related but you don't have vm at all. Fits restore original .htaccess file that come with fresh joomla. 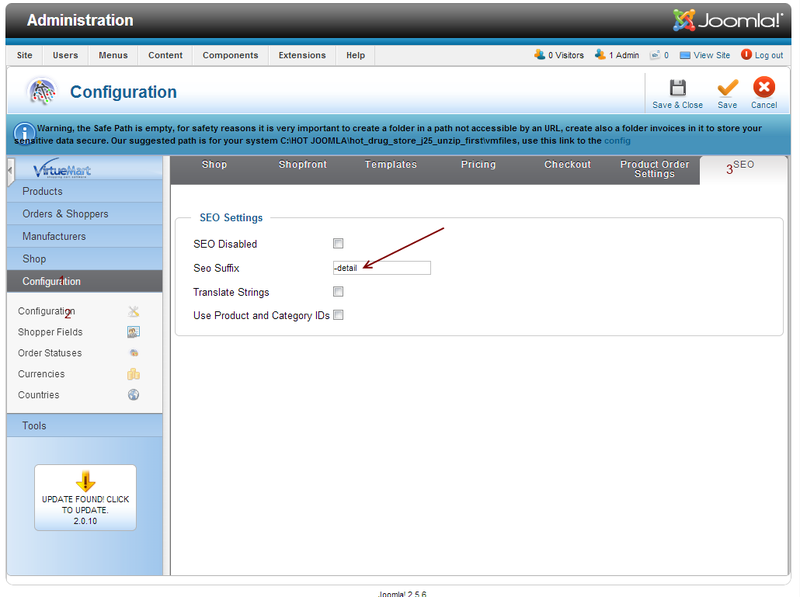 Turn off SEO in joomla. Go to menu manager then in each menu and menu item settings. Make sure each item has unique textual alias as you want it. (alias field below title filed parameter) (alias is used for seo link). If some menu item type does not have alias you can swap type temporally to change alias - this is extreme situation if you see such problem you will understand. Not that "alias menu item type" and "external url menu item type" don't have alias. When you sort all of them, clear cache and reactivate SEO again. Many thanks for your answer. I did every step, what you told me. Unfortunately it doesnt work. I have the ID furthermore in my URLs. Perhaps there is a restriction at my provider. Do you have an another idea? Meanwhile, I will research continues on Google. Recently some other poster had similar problem then found out it has some component that did SEO so that created conflict. Also check with your provider about server configuration regarding URL rewriting. I found a great solution on a english speaking page. And I already was on the right way with the video. And after clicking on the link I get to the correct page and not to a 404 page. Good luck to every person who has the same problem with IDs in URLs.